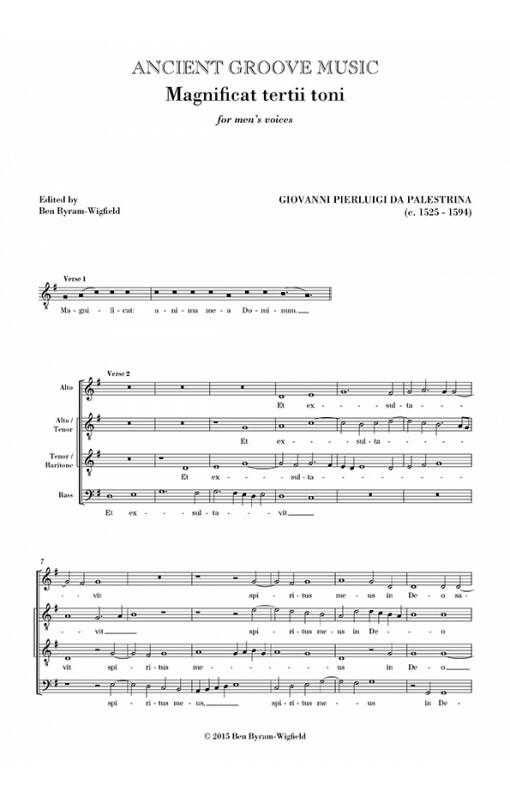 This edition marries two of Palestrina's settings of the Magnificat and Nunc dimittis, both in the third tone. Both are written for the same vocal ranges: The original parts are written in chiavette alte (high clefs), implying downward transposition, so the music has been transposed down a fourth, to become suitable for Alto, Alto/Tenor, Tenor/Baritone and Bass. 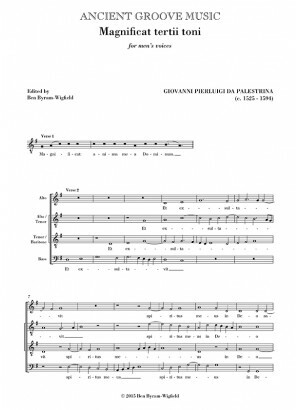 The music of the Nunc dimittis may be familiar as the source of the Matin Responsory in Carols for Choirs 2, which is described as ‘adapted from a Magnificat by Palestrina’. The Nunc dimittis is also available separately.